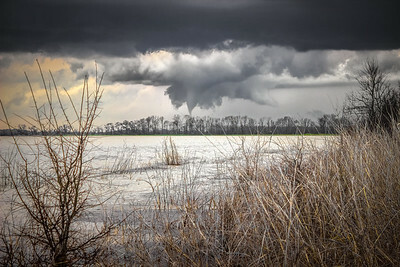 A tornado moves behind flooded fields near Grady, Arkansas—13 March 2016. 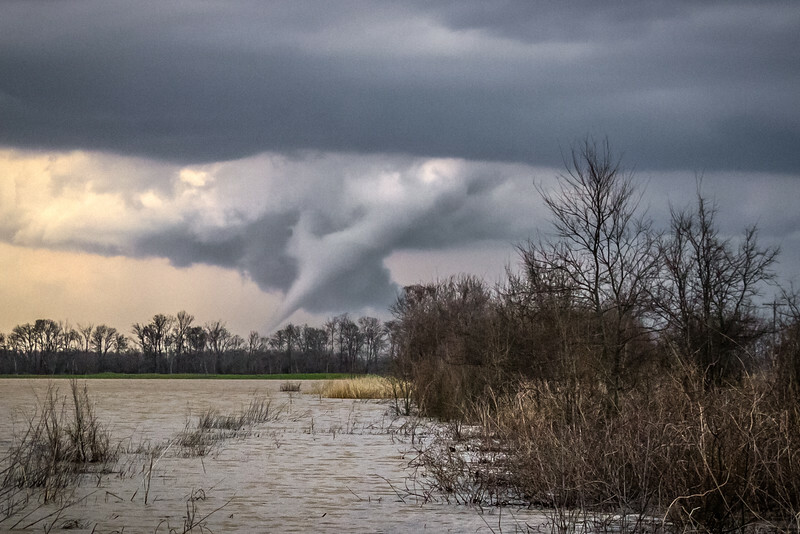 A tornado northwest of Grady, Arkansas begins to rope out across flooded fields—13 March 2016. 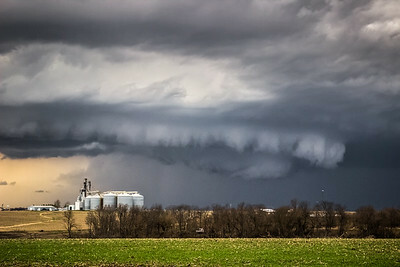 A tornadic wall cloud spins near Good Hope, Illinois—15 March 2016. 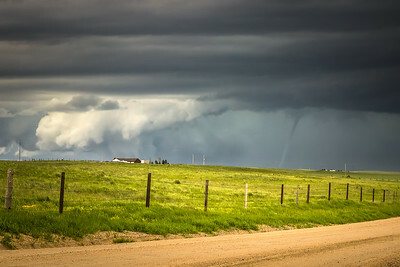 A tornado is in progress here, however it hasn't manifested a condensation funnel to the ground where debris is being observed by spotters and chasers closer to the base of the storm. 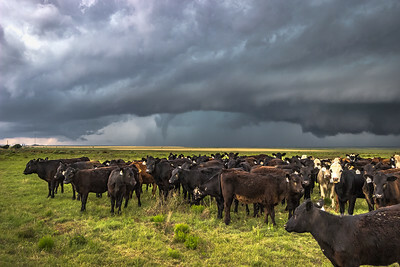 A herd of cattle gather as a tornado touches down near Felt, Oklahoma — 16 May 2016. 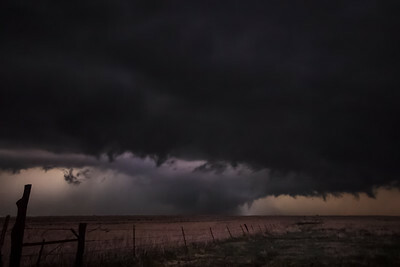 A tornadic supercell wrestles with the landscape south of Dodge City, Kansas—24 May 2016. 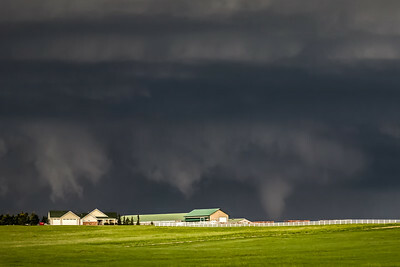 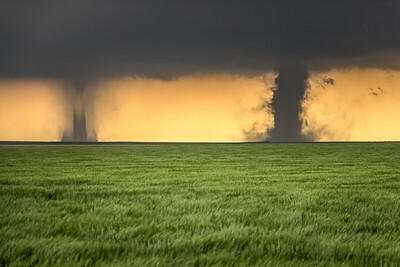 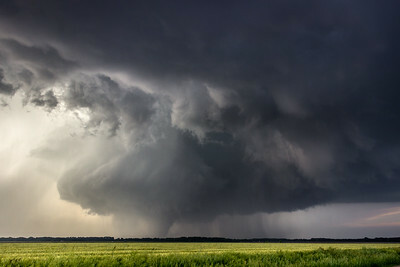 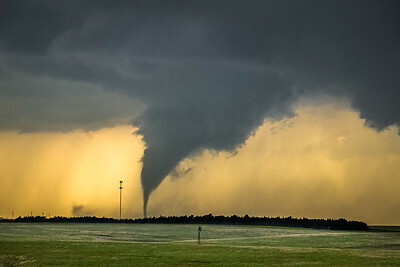 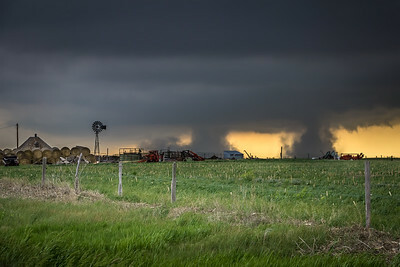 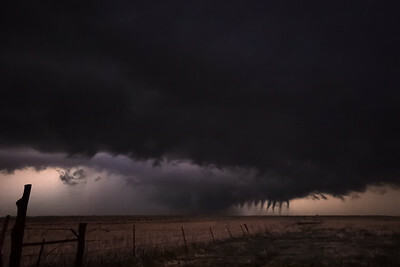 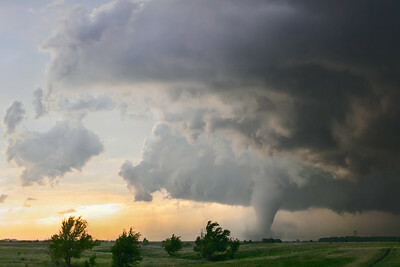 The third major tornado produced by a storm near Dodge City, KS — 24 May 2016. 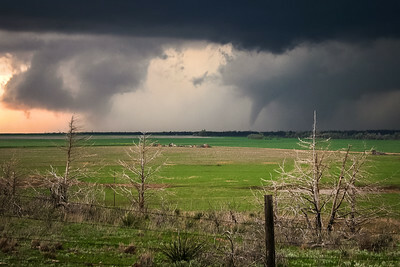 This tornado morphed from a large barrel to a multivortex carousel to the cone, seen here, to a stovepipe before it roped out. 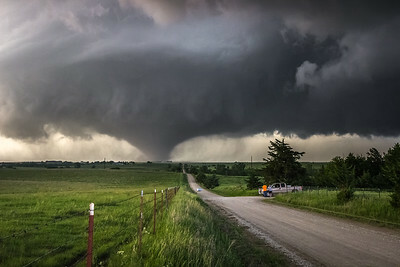 to a stovepipe before it roped out. 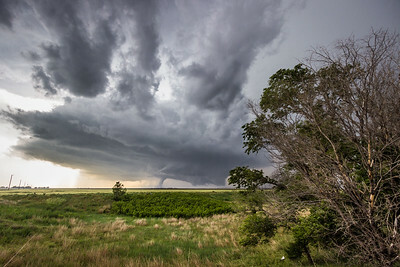 A tornado strengthens northwest of Solomon, Kansas as the rear flank downdraft spirals rain bands inward—25 May 2016. 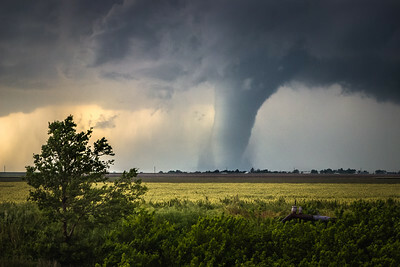 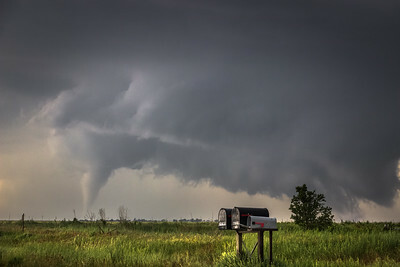 A long-track tornado passes north of Abilene, Kansas—25 May 2016. 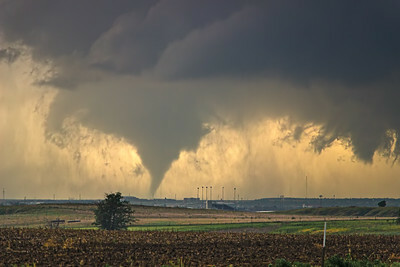 This view is looking north from Indy Rd. 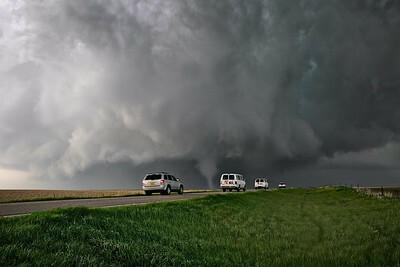 and I-70 as the tornado is about to cross the road 2 miles to the north. 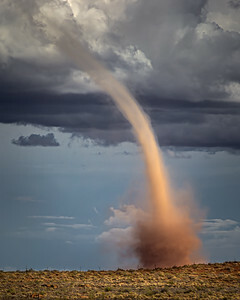 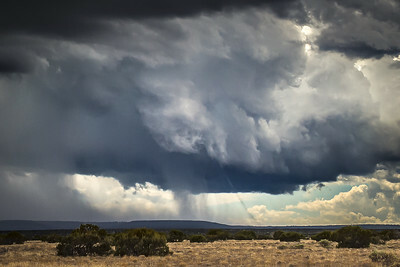 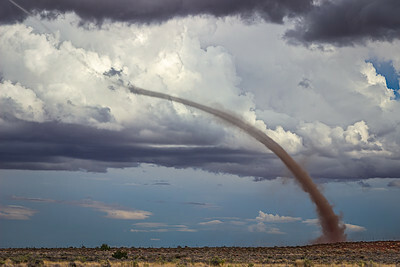 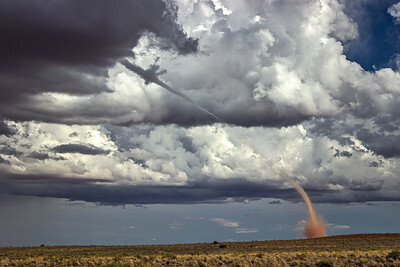 Landspout tornado as seen from Two Guns, AZ looking east.